James Thompkins is one of those guys where you can’t help but smile when you’re around. He has a joy for life and a realness to him that is contagious. 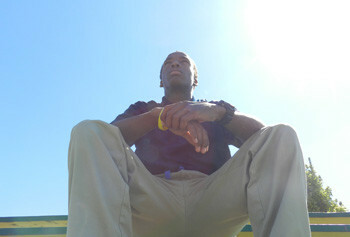 James, age 17, moved to Jubilee from Chicago IL because he was doing poorly in school. His mom told James and his brother about Jubilee and told them that she wanted them to go. The road to Jubilee wasn’t an easy one at first with James missing his train the first two tries in ways to avoid Jubilee, but eventually He decided that there was no getting around coming out to Jubilee so he figured he might as well make the best of it. When James first got out to Jubilee he admits it was hard to adjust. “I didn’t like it at first here because of the computer learning. I wasn’t used to it,” explained James, “But eventually I got used to it and found out ways to make it work”. Besides being able to get school work done James also said that Jubilee has helped him learn how to talk to people better, and helped him to gain a better sense of respect for his Stepfather. James says his favorite part of Jubilee is definitely the opportunities he has here compared to home in Chicago. When I asked him about those opportunities he said “Definitely sports: Track, Football, and Basketball which I couldn’t do in Chicago because my grades were too bad, and I never went to school.” Since coming to Jubilee however James has been able to compete in both Football and Track at the state level and looks forward to competing at a high level again this year. Another positive aspect of Jubilee for James is the relationships that he has built over the time he’s been here with both students and staff. Relationships that he says he’ll carry with him far after he finishes his time here. When asking James about the future and what he feels he’s learned during his time he replied “It helped me learn how to be a good leader instead of a bad one, and how to live so people follow me and I don’t follow them.” James plans on moving to Arizona after he graduate and to attend a college for Firemen to obtain da license. He already has plans to start down his goal by becoming a volunteer fireman after he turns 18. 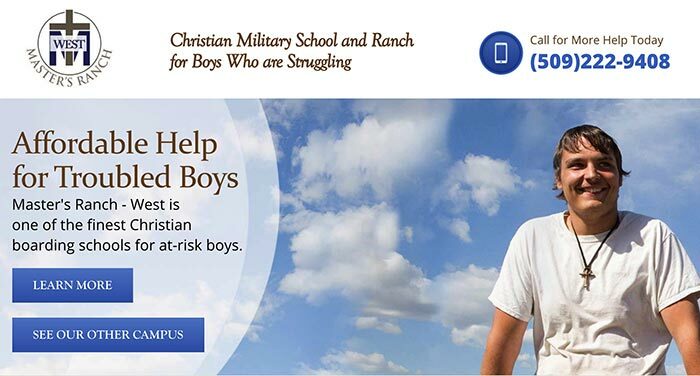 Should you need help finding boarding schools therapeutic, residential treatment centers, Christian boarding schools, affordable boarding schools, military schools or teenage boarding schools, please let us know. When looking into boarding schools for troubled teenage boys, it is important to know the distinction between all the different types of programs. Probably the most common of these alternative schools are the therapeutic boarding schools. Specifically designed for at-risk teens, therapeutic boarding schools for boys combine therapy with academics to help kids get back on track. Therapeutic boarding school can also be Christian boarding schools where. students receive therapy and education from a faith-based perspective. This boarding school for boys is a tightly structured, highly active environments best for instilling discipline and improving organizational skills. Low Cost Christian boarding schools like Jubilee helping at-risk troubled teen boys. Jubilee’s therapeutic residential school helps rebellious boys who are at risk and defiant or out of control. Designed for troubled teenage boys Jubilee helps solve behavioral disorders in boys with ADHD, boys with ODD – Oppositional Defiant Disorder, Attention Deficit Disorder, and teens who are misbehaving. Compare our affordable boarding school for boys to other therapeutic programs and other residential schools for troubled teens and you will see that we are far less costly. Jubilee serves boys mostly from California, Washington State, Idaho, Nevada, Utah, Oregon, Arizona, Montana, and Colorado.